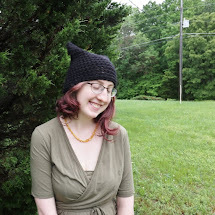 Kitty Adventures: I can't "fix" my husband's anxiety. 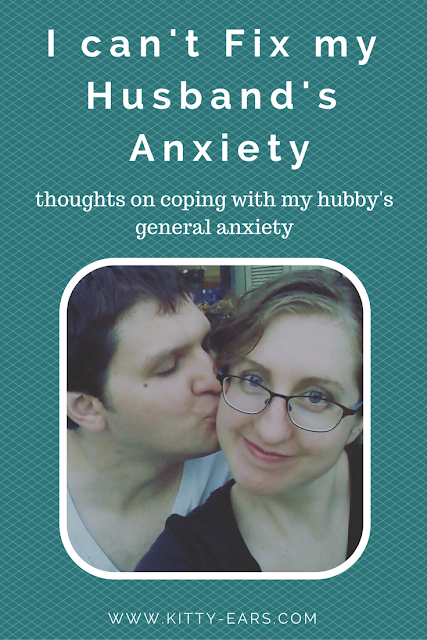 My husband has general anxiety. He was diagnosed shortly after Reuben's birth, and to be honest it has been very hard on our marriage. 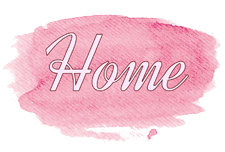 When he is experiencing anxiety (fyi blog post is all from my perspective) he can't function, so I have to pick up the slack because things around our house still have to be done. He also can't make decisions when under an anxiety attack so either we don't make them at that time or I make them. I love my husband and I want to support him. But I feel like I've moved through the "three stages of understanding your spouse's anxiety" in the last two years and just NOW am beginning to fully comprehend what he is going though and make sense of my own emotions and reactions. Because anxiety does affect our family even if he wishes it didn't. Also, it hugely effects his life! The first stage I went through was honestly resentment. My husband gets to lay in bed because he "can't cope with life" and I am stuck with a crying needy poopy baby and dishes to wash? This can't be happening. Denial and resentment permeated my heart only for a short time because I did see how much he was suffering and how much he really did not want to experience the emotions he was experiencing. So I quickly moved on to to what I like to call my "helpful" stage. I am a go-getter, a type-A-get-it-done person, and I switched from being angry about my husband's anxiety to trying to do something about it. I thought if I could just find the right diet or the right verse or the right x-y-z it would somehow help him and then he would feel better. Curing his anxiety became my new goal. This stage lasted about a year. I didn't realize how much it impacted everything in a mostly-negative fashion until just recently. Anxiety isn't something you can control. It isn't something he or I can just put in a box and label. I don't think it is even something that can be cured. My husband has generalized anxiety and he does not know exactly what causes it. He knows a few things that don't help by any means but so far there isn't a clear trigger to the crippling feelings of anxiety that come and go in his life. It seems random. And me trying to come in and diagnose and treat him even if my intentions are good and come from a place of trying to help him do not actually help him. At all. Instead they just made him feel guilty that he didn't feel better after whatever it is I would try (and we tried lots of things lots of times). It made his anxiety worse because of my hyper awareness of it. And it made me frustrated because I just couldn't discover what was making him anxious or anything that helped his anxiety. So this is where I am now: I am not trying to fix him. I instead want to love him no matter what he is walking through, while also acknowledging that anxiety is crummy and no fun for either of us. I want to be honest with how his anxiety makes me stressed at times since I have more to deal with and can't rely on him. I also want to have compassion for what he is going through. It's a fine line to walk. The best thing I have found that "helps" when my husband is having severe anxiety is to leave him alone and let him work through it as he feels he should while letting him know I am here to listen. I don't blame him or resent him. I don't blame myself. And I don't try to cheer him up. I order take out and try to keep things as low key as possible to limit both our stress and usually plan something fun out of the house for Reuben and I do to so we can get out his hair and let him have some space. Anxiety isn't something--at least for my family--that can be washed away with a diet or a uplifting book. It is something that my husband is going through. It's something that our family is going through. And acknowledging that is enough for now.